Wine-cork decor is unique, trendy and even impressive. Wine connoisseurs love to display corks from their favorite bottles of wine. It takes hundreds of corks to make decor items, yet enthusiasts want to display corks from a variety of hopefully distinctive wines. A good cork collection can take years to assemble. But once it becomes a serving tray, picture frame, coffee-table top or wreath, it is both a conversation piece and a collector's item. Different corks make an interesting decor item. What will it be? 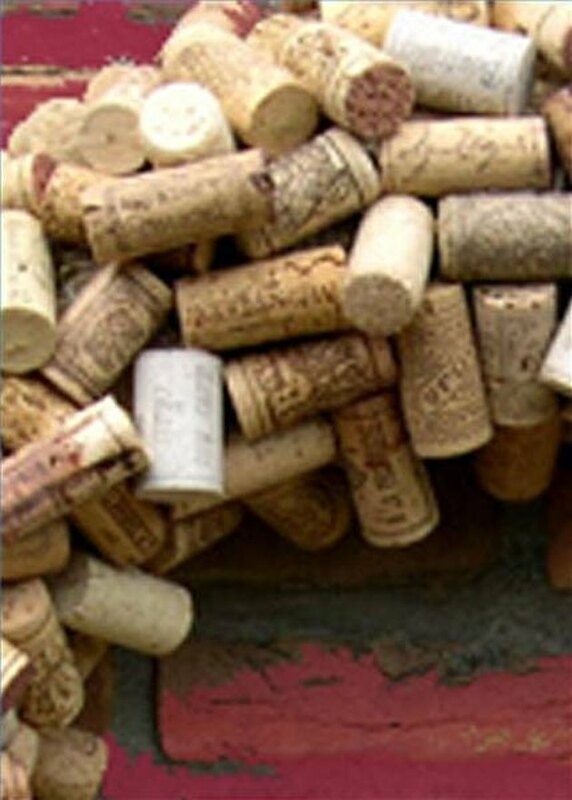 Do you have enough different and distinctive wine corks to cover a wall? Do you have 100 of them--enough to make a serving tray? It takes about 170 to make a bulletin board and 500 to make a wreath. But don't worry: They don't all have to be different. You can keep cork duplicates far away from each other in your design, and once in a while, you can even use a blank cork. As your cork collection grows, display it in big glass vases or bowls, or sprinkle corks around your centerpiece at a dinner party. 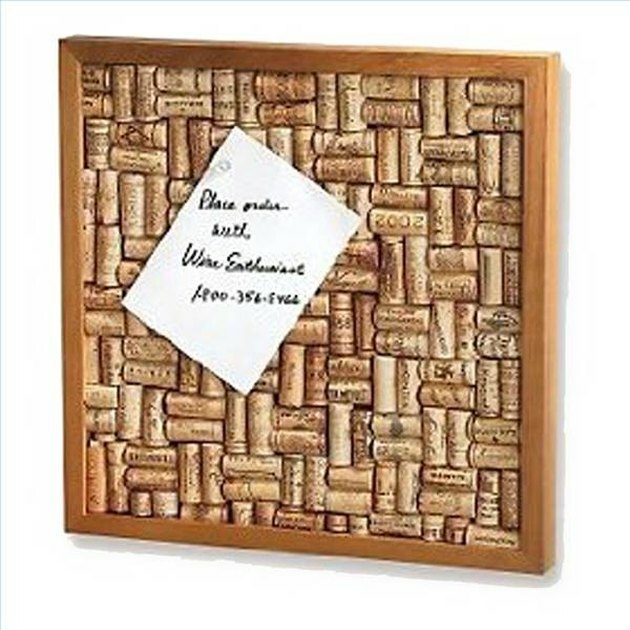 Perhaps you'll want to collect and decorate with wine corks exclusively from French wines--or German, or Californian. You can even narrow a collection to corks from Pinot wines or Merlots. How about ornaments made out of corks from your most unusual wines? Or save enough to use as a backsplash in your kitchen. Want to serve wine on your cork tray? You'll need a glass top. 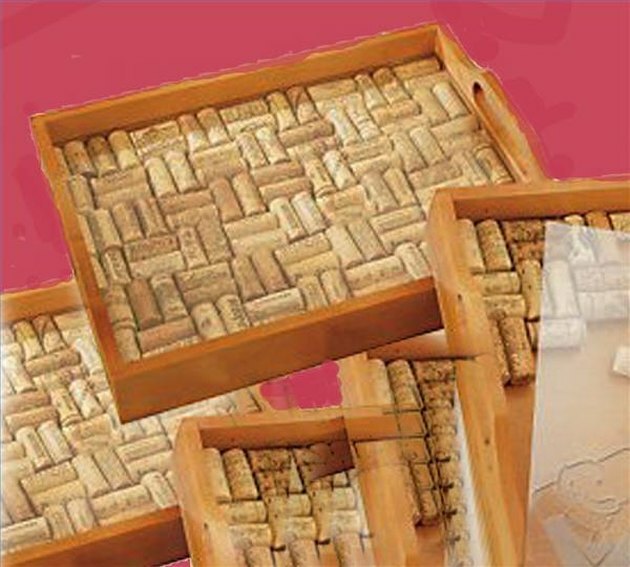 If you have decided to display your corks in a decorative cocktail table or serving tray, you can either glue the corks to the actual table or tray or have a wood frame made to its exact size.Then arrange your corks in a pleasing pattern. The "two vertical, two horizontal" pattern works well on rectangular items. When you're satisfied, hot-glue the corks to the wood frame. Have a glass top made to cover the corks, and your one-of-a-kind piece will last for years. 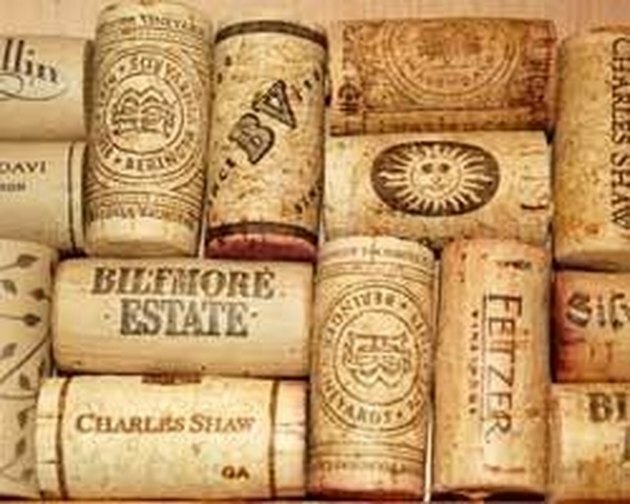 Craft kits for wine-cork decorator items are available online and in wine magazines. If you want to design your own item, step-by-step instructions are available. (See Resources.) No doubt, you will think of many other ways to use your wine cork collection. Why not contact your favorite restaurant or bar and ask them to save wine corks for you? In exchange, make them a wine-cork wreath to impress their customers.